Our Sterling Silver Family Ring Necklace features up to five beautifully polished rings in your choice of sterling silver or rose gold vermeil with a fine chain to match. 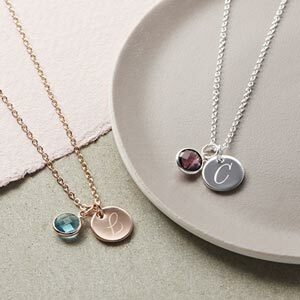 Each ring of this peronalised family necklace is designed to represent a member of the family, allowing you to choose up to five in either sterling silver or rose gold vermeil with a fine trace chain to match. 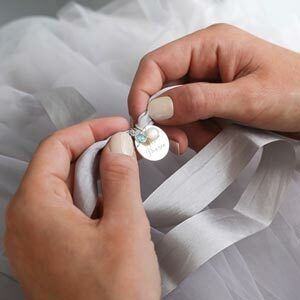 Our studio experts will then make your beautiful gift to order and complete it with a gorgeous ribbon gift box presented on your bespoke family gift card. Enter the names of your closest family or friends and have them printed on a card of your choice along with a special message to create a truly unique gift. Please note: these are not recommended for children under the age of 36 months due to small parts.